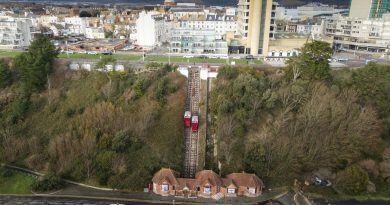 Lucia Keskin, aka Chi With a C, is a content creator from Margate, Kent. Over the past year, she has exploded with an online presence complete with humour, singing, dancing and niche recreations of hit comedy sitcoms. If that doesn’t spark an interest, here’s seven more reasons as to why you should go and check out her channel! Since June 2017, Chi has amassed a substantial amount of subscribers on her YouTube channel. Naturally this is due to the self-deprecating humour, constant community jokes regarding GCSE’s and ability to commit to a joke right form the start of a video. If you click on a video titled playing catch with myself, then that’s exactly what you’re going to get with Chi. It’s always nice to see some new local talent explode into something bigger and better. Chi has moved on from small videos for her friends, to guest appearing at conventions and having videos with over 500,000 hits. Chi is listed as a guest at Summer in the City this year. It’s no secret that Chi’s humour is without a doubt, niche. However, that hasn’t stopped her fans from finding her and creating loyal community. The humour isn’t limited to just Chi, however. 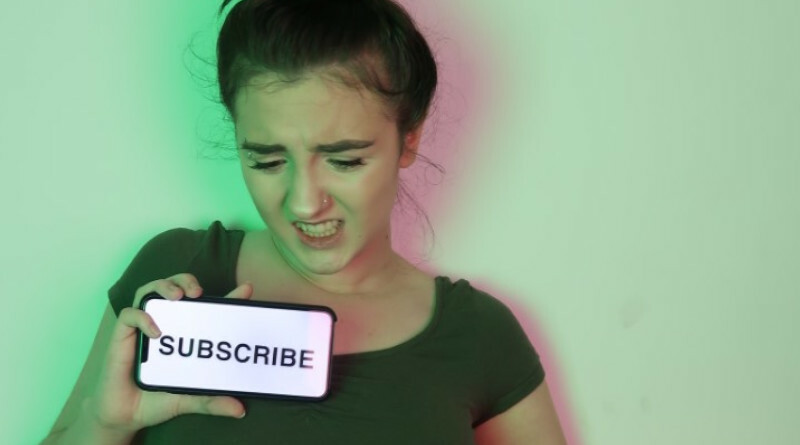 Her fans understand the humour and as a result, she’s amassed a wide range of fan pages including chiwith1gcse and chiwithatea, both found on Instagram. 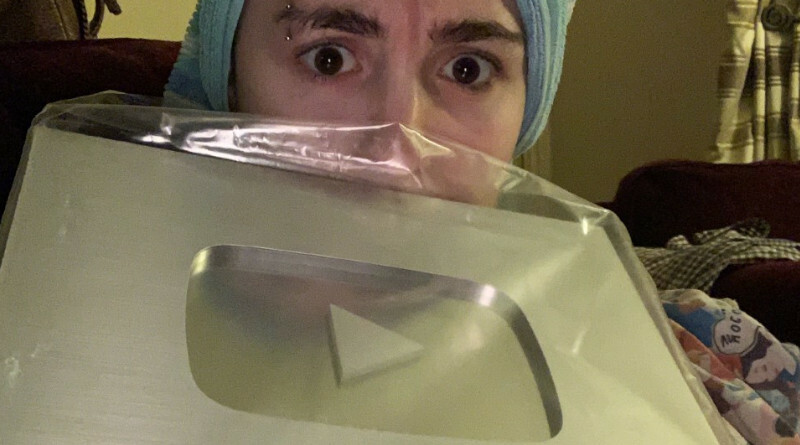 Upon receiving 100,000 subscribers on YouTube, Chi received a coveted YouTube Silver Play Button commemorating the total. This is a sought after achievement, perused by many and achieved by few. Chi took it upon herself to show her fans that she really could recreate and play every character in an episode of Friends, appropriately titled the one where I recreate an entire episode for no reason. This sparked a massive online interest and has been shared by large media giants and even had articles written about it on it’s own. In January, Chi was due to appear on BBC News live on air to discuss the one where i recreate an entire episode for no reason. Due to a couple of possible technical hiccups, she ended up interrupting a live interview with a Skype call with a very smiley image of her own face. After amassing thousands upon thousands of followers, what’s the next big step in creating quality online content for your fans to admire? You guessed it, obviously it’s a screen recording of a very interesting facetime conversation with yourself! Chi shows us what it would be like if she met herself via facetime call for the first time here. Naturally it involves a hamster and a sleepover. What else can a person want from an ironic comedy YouTube channel? I was taking photos at Folkestone Comic Con 2018 when me and my colleagues were approached by Chi, her friends and former Eastenders actor, Samantha Womack. I offered to hold Chi’s camera whilst she had her photo taken, as she was vlogging at the time. Naturally I tried my best to steal the limelight. I was pleasantly surprised to see that not only did she include footage of our photo booth in action, she also included our little selfie moment on camera in her latest vlog at the time. This just goes to show that she has a sense of humour, as well as appreciates her fans trying to get involved with making content. Chi’s videos are comedic, smart and regular for a loyal fan base to watch, enjoy and grow with. Be sure to subscribe to the channel if you want to see more!